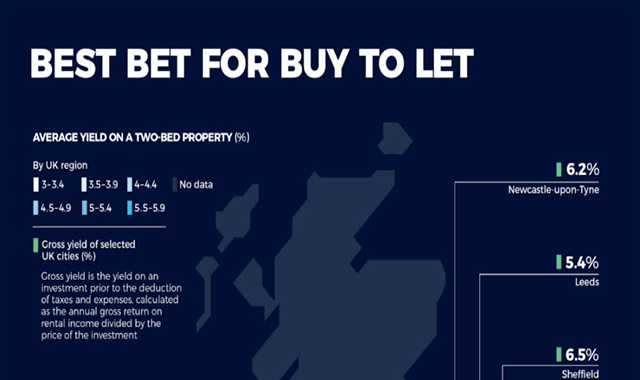 Best bet for buy to let #infographic ~ Visualistan '+g+"
This infographic reveals the best places to buy property to let in the UK. The graphic shows that properties in Merseyside have the largest gross yield of 6.6 per cent, meaning landlords would make the most profit in this area. Merseyside was followed by Sheffield, Newcastle-upon-Tyne and Nottingham. Click view to see the full research findings.